THINK-ISRAEL features essays and commentaries that provide context for current events in Israel. The war Islam is waging against Israel and the West is top priority. We report on global anti-Semitism, Islamism and creeping Sharia.We aim to make sense of what's going on. -- In an email from the Baltimore Zionist Division. We have all read how 61% of the 10,000 Muslims polled by Gallup in Pakistan, Iran, Indonesia, Turkey, Lebanon, Morocco, Kuwait, Jordan and Saudi Arabia do not believe the 9-11 attacks were done by Arabs. Another 31% are not sure. Only 18% accept that Arabs destroyed the World Trade Center and part of the Pentagon. Added to this, a favorite story circulating in Arab countries and aired on Islamic radio in this country is that the Jews knew about the attack ahead of time and stayed home. If you believe what you hear on the news and media, you would think there is an entity called a Palestinian people, who lived in a country/state/area called Palestine since Canaanite/Biblical/Mohammadan times. The Israelis occupied Palestine in 1967. The Palestinians want the occupiers out of their land. And of course they are entitled to do whatever it takes to get their land back. No? No. Here are some short articles that will introduce you to the History and Geography of Israel and its neighbors. Who are the Palestinians? Palestinians are Arabs. They have no historical, national or cultural identity distinct from other Arabs of the region. Most of them came into Palestine in search of economic opportunities after World War 1 when the British and the Jews began to build up a land that was moribund. Start with a superb set of visuals called History in A Nutshell. It was produced by Udi Ohana of Concept Wizard. He has a new presentation called PipeLine of Hatred on Islamic anti-Semitism. What is Palestine? When the Romans conquered Judea, they renamed it Palestine. Since then, no occupying power ever made it an independent state or established a capital in Jerusalem. Under the Ottoman Empire, it was part of the province of Syria. After World War I, the area was mandated to Britain to establish a Jewish national home. Instead, in 1922, Britain split off 75% of Palestine to establish the Emirate of Transjordan, as a throne for the Arabian Hashemite family. Download Twenty Facts About Israel and the Middle East from the Christian Action for Israel web site. It is by William Bennett, Jack Kemp and Jeane Kirkpatrick and was initially published on the Empower America website (http://www.empoweramerica.org). The UN decided to split the rest of Palestine between Jews and Arabs. In 1948, Arab armies and volunteers - from Egypt, Jordan, Iraq, Lebanon, Syria, Saudi Arabia, Yemen and Morocco - attacked the newborn State of Israel. 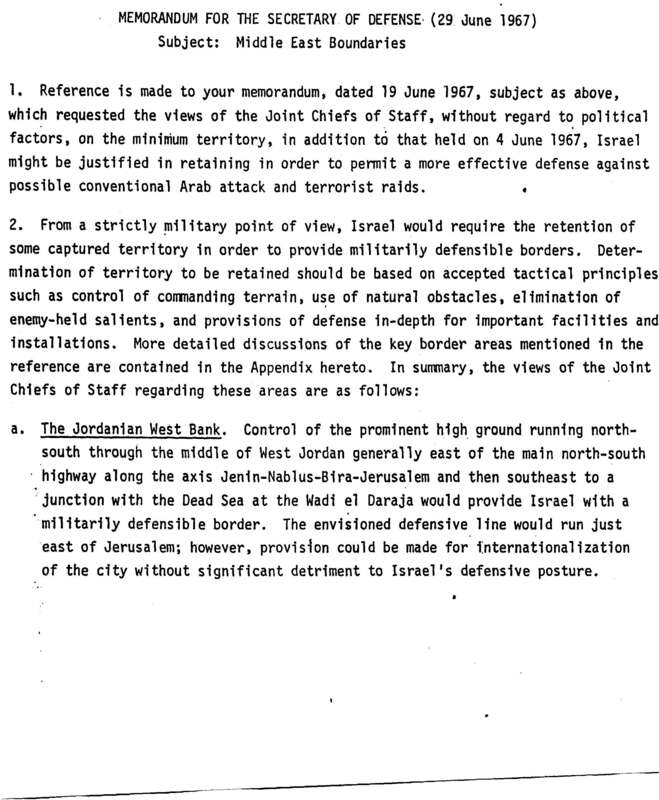 Transjordan annexed the area intended for an Arab state, and renamed itself the Kingdom of Jordan, calling the annexed area the "West Bank". Egypt took over Gaza. 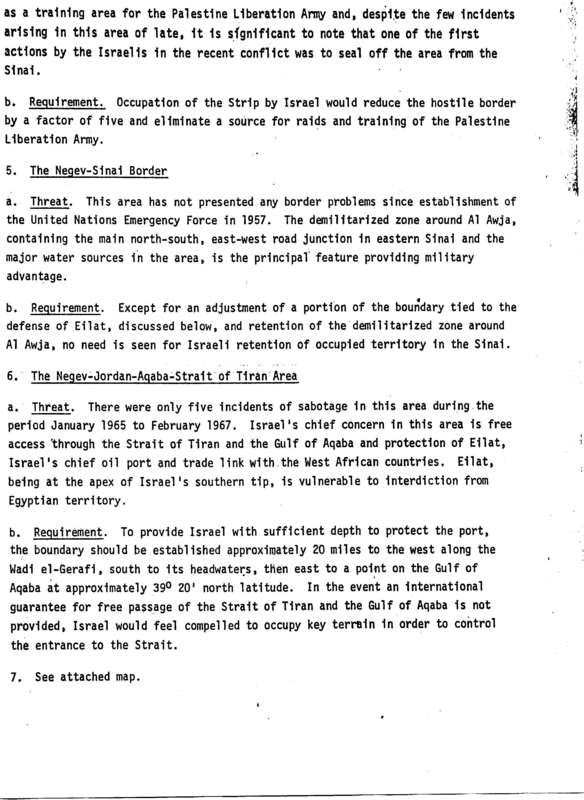 No Arab suggested making the West Bank and/or Gaza into yet another Arab state until 1967, when Israel was again attacked by the Arabs and took these areas. Read the page on Palestinians in The Peace Encyclopedia. It's an eye-opener, hard-hitting and accurate, laying out the stages in the bogus creation of a Palestinian people. Whether or not she chooses to exercise the right, Israel owns the West Bank by right of conquest. She also has unassailable biblical, historical and residential claims. The Mandate to develop a Jewish state in ALL of Palestine is still in force; and the U.N. -- the legal heir to the League of Nations -- is legally obligated to help the Jews. Before 1967, the last previous legal owner was the Ottoman Empire. And Turkey, heir to the Ottomans, has never asked for it back. Joseph Alexander Norland has gathered some 23 articles on why a sovereign Arab state should not be carved out of Yesha (Samaria, Judea and Gaza). You can download it from the IsraPundit website either as a ZIP file or a PDF file. Think-Israel has many articles on the real history, both summary articles -- such as Yashiko Sagamori's "Who are the Palestinians" and Hillel Fendel's "PA Perpetuates Myth On 'Catastrophe Day'" and detailed essays about specific historical events. Just type "Palestine history" or "Palestinian people" or "international law" in the search box on the Home page and you can access them directly. FLAME is an organization that buys space in different magazines to present factual and well-written articles on Israel and its neighbors. Its aim is to counteract the nonsense that passes as truth in so much of the media. You can read their articles on their web site: http://www.factsandlogic.org The one in the box is entitled The Arab-Israeli Conflict. Is it the "root cause" of unending war and of terror? There are many who are convinced that the existence of Israel and its "alien" presence in the predominantly Moslem Middle East is the "root cause" of the ongoing and never-ending violence in the area and of terror in the world. And that if it were not for Israel, peace would prevail and terror would cease. That premise is assiduously advocated by the Arab and Moslem nations. Israel is a tiny country, with only six million inhabitants (a million of whom are Arabs). It is surrounded by 22 Arab countries, with 300 million people. Their combined land area is greater than that of all of Europe. Despite this disparity in size and population, Arab propaganda has convinced the world, even many well-meaning people in the United States, that Israel is the mighty Goliath compared to the puny Arab states. It is a supreme irony that six million Israelis, surrounded by implacable enemies who are fixated on their destruction, are considered a mortal danger to the Arabs and perhaps even to the peace of the world. And that if it were not for the Jews, were it not for Israel, peace would descend and terror would cease. Israel, despite constant propaganda to the contrary, is not the "root cause" of this strife and turmoil in the Middle East. Violence and war are endemic in Arab society and in Arab history. Israel was not involved in the deaths of the millions who died in the Iraq-Iran war. Arab-Moslems killed over a million black Christians and animists in the Sudan and brought intolerable suffering to that impoverished region. The Sudanese government, dominated by Arab-Moslems, didn't lift a finger to help its citizens. Israel is certainly not involved in that. The thousands whom Hafez Assad, the father of the current president of Syria, slaughtered in the city of Hama have no connection with Israel. Abdal Gamel Nasser, the self-appointed president of Egypt, mortal enemy of Israel and instigator of the Six-Day War, did not invade Yemen and gassed its people because of Israel. Saddam Hussein did not torture and kill tens of thousands of his own people and did not invade Kuwait because of Israel. The Lebanese did not stage their civil war and kill thousands of their own because of Israel. And there are many more examples of intra-Moslem or intra-Arab slaughter and mayhem. Israel was uninvolved in any of those. All of this would have taken place if Israel had never existed. And how about terror? Again, many believe that Israel is the "root cause" of the terror that Arab-Moslems have visited and continue to visit upon the world. The attack on the United States on September 11, 2001, the destruction of the two U.S. embassies in West Africa, the bombing of trains in Spain, the murderous attacks on the London subway system, and so many other acts of cowardly terror would have taken place even if there were no Israel. And, many believe that if only the United States would withhold its support from Israel (and get out of Iraq), terror would cease and the world would no longer have to fear the scourge of suicide bombings, the devilish invention that Arab-Moslems have visited upon the people of the earth. Many claim that Arab-Moslem terror is the result of despair, hopelessness, and poverty. But that is patently absurd. The Arabs are some of the richest people in the world, although, instead of using their enormous wealth to benefit their people, they squander it in bizarre luxury excesses for a privileged few. It is obvious nonsense that Arab-Moslem terror is the result of poverty. The nineteen hijackers were not poor or desperate. They were, without exception, well-educated people, members of upper-middle-class families. The leaders of such Arab-Moslem terror organizations as Hamas, Hezbollah or Islamic Jihad are educated people, from the upper reaches of their societies. And if hopelessness, deprivation of their "national rights," and poverty would give rise to terror, how come that, even in the worst and most evil days of Jim Crow, American Negroes never engaged in systematic terror against their white fellow citizens? How come Tibetans don't use terror against their Chinese overlords? How come the sub-Saharans of Sudan and other countries of Africa do not use terror against their Arab-Moslem oppressors? No, terror is the customary response of Arab-Moslems to express their grievances. It is a result of their culture and of their history. It has nothing to do with Israel and would not be any different if Israel had never existed. The proclivity to war and to terror on the part of the Arab-Moslems has nothing or little to do with Israel. It is the result of their culture and of their history. It is a symptom of a crisis of identity and of confidence. For centuries, the historical Moslem empires of the Middle East were confident societies, which long led the despised Christian West in terms of science and economic well-being, as well as in military power. But then a lasting reversal and decline set in, in which the loss of Spain and the ascent of the West and its towering achievements in every human endeavor played a key role. This thirst for war against each other and against the hated infidels -- foremost among them the Israelis -- and the lust for terror will not end until Arab-Moslems come to terms with the West and accept its predominant role. But that may take a very long time -- in fact, it may never happen. "... the lust for terror will not end until Arab-Moslems come to terms with the West and accept its predominant role." Mitchell G. Bard: Myths and Middle East. It is easy to read and accurate. You will probably want to own a copy. But you can read it online at Middle East Myths. Steven Emerson: Jihad: The Terrorists Living Among Us. Emerson is an authority on American-based organizations that aid and abet Arab terrorists. Joan Peters: From Time Immemorial: The Origins of the Arab-Jewish Conflict over Palestine. This was one of the first books to expose the Arab lies that underlie the Arab claims to the Land of Israel. Mitchell Geoffrey Bard: The Complete Idiot's Guide to Middle East Conflict. As the review in Amazon.com from the AOL Jewish Community Newsletter says: "Don't let your brain get parched. This useful book sorts through the political and military quagmire of the Middle East in language anyone can understand." The internet has superb websites that are informative, and often with excellent graphics. Israel Science and Technology has factual articles on the Arab-Israeli conflict, including statistical tables and graphics. The home page is a compendium of essential information on Israeli science and technology: universities, departments, businesses, libraries, professional association, jobs, etc. See also Israel21c for the latest in the remarkable scientific, medical and engineering work that Israel is doing. The whole world benefits from it. Imninalu Net has produced an interesting comparison of Israel's contributions to Mankind versus the contributions by the Arab countries in medicine, biotechnology, engineering and technology, etc.. There are two excellent sources for succint and factual histories of Israel. The Masada2000.org website has a History of Israel and "Palestine" and the Nerds and Geeks website (www.allnerdsandgeeks.com) has an article on Israel's borders over time called http://www.allnerdsandgeeks.com/index.Israel2.htmlThe Arab-Israeli conflict: a brief history. Both articles are replete with excellent maps that make the history easily understandable. 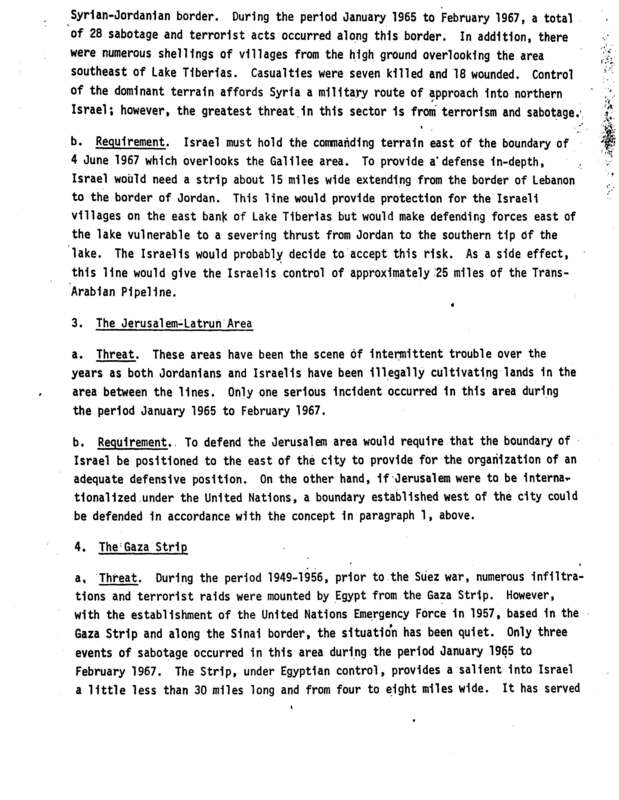 The Buffalo-Israel link has links to reference material -- think-tanks, news sources, maps, Jewish organizations and a section accurated labeled "know your adversaries." Middle East Information is dedicated to advancing democracy and pluralism in the Arab world. Its Resources Links - libraries with internet Middle East collections, bibliographies and maps - are outstanding. Access Mitchell G. Bard's Myths and Facts about Settlements for factual information on the Settlements. Maps of Israel from the Kingdom of David and Solomon to the present are presented in good detail by the Israeli Ministry of Foreign Affairs. 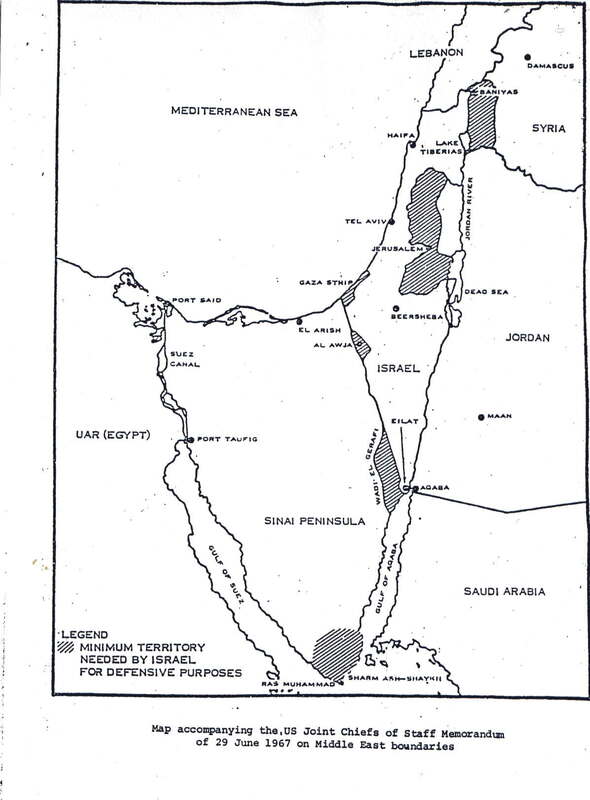 There are also maps comparing population, literacy, GNP, etc between Israel and its neighbors. Take a look at the The Emperors-clothes website. It features an organized set of timely articles in book format on the Arab-Israeli Conflict and Antisemitism. See also the excellent collection of articles and photos on Jerusalem from biblical times to the present day at Jerusalem Archives Organization website. Palestine facts is a site "dedicated to providing comprehensive and accurate information regarding the historical, military, and political background to the on-going struggle between the State of Israel and the Arab Palestinians." It is superbly organized and can well serve as a single-source resource. Legal and diplomatic documents relevent to the history of the Middle East can be viewed by logging into the Avalon Project of the Yale Law School: Avalon Project. 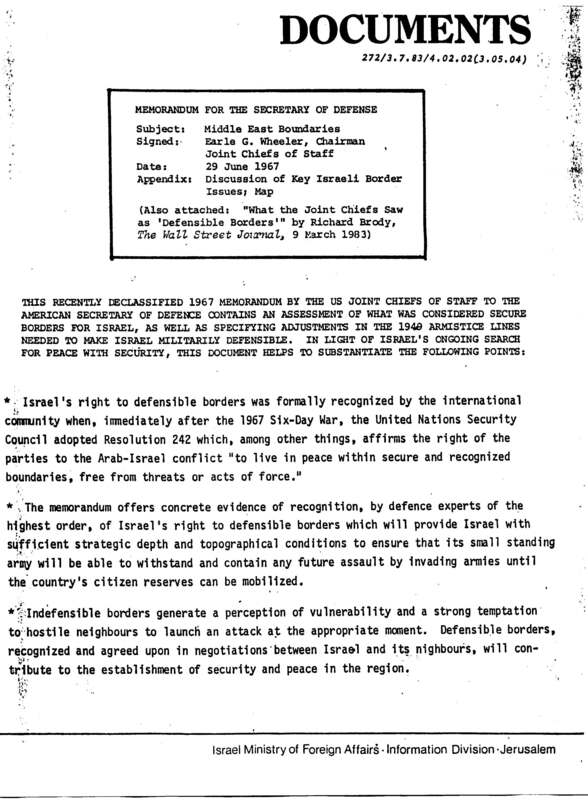 You can read their copy of The Hamas Covenant 1988 here. Documents, facts and analytic articles on the U.N. are available at Eye on the UN. The Britam Organization has made available a monograph rebutting much of current Muslim propaganda. It is called "Mohammed Wept. Response to Islam" and was written by Rabbi Avraham Feld. It covers the concepts of Islam from earliest times, its recent resurgence as a threat to Western civilization and Islam's genocidal war on Israel. The monograph can be downloaded as a PDF file. Jews, Arabs and Eretz Israel is a succinct but excellent summary of the conflict between Jews and Arabs. It was composed by Samuel Kurinsky and includes an excellent summary of the history of Israel. Walter at www.Dodo.com has organized comments, photos and live links to media articles on those aspects of Islamic culture and behavior that create problems for the rest of us. See "The Trouble with Islam, Part 1" and Part 2. Note that media internet articles are often withdrawn after a few weeks so they may not all be available. "Facing Jihad" by Dr. Asher Eder has an excellent monograph on the necessity of renouncing Jihad, if there is ever to be peace between Israel and Islam. 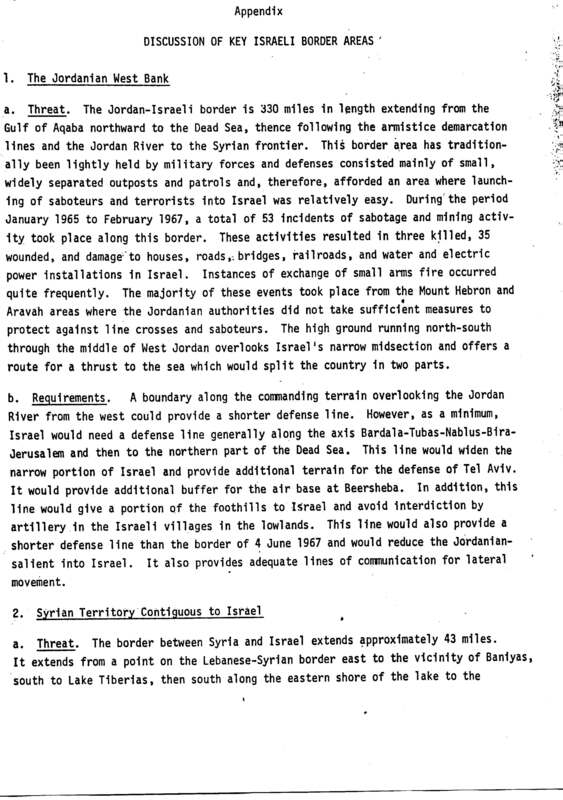 Sol Jacobs has constructed a downloadable PDF file on the Arab initiation of the Six-Day War, as recorded on newspapers of the time. SixDayWar is a comprehensive website devoted to the Six-Day war -- what led to it, documentation on the war itself, and what it was like living in Israel at the time. They invite people involved in that war to send in their experiences. Our Enemies is both entertaining (delightful graphics) and instructive. In association with www.masada2000.org, they present an excellent history of the "Palestinian" people. Articles are thought-provoking. They discuss not only Jewish self-haters but Christian self-haters such as Hanan Ashrawi, mouthpiece for the PLO. Discover the Muslim Network is an important new resource. This is an amazing website full of information on Muslim front groups, radical groups and biographies of individuals. There are also excellent articles. The Counterterrorism Blog is said to be "the first multi-expert blog dedicated solely to counterterrorism issues, serving as a gateway to the community for policymakers and serious researchers. It is designed to provide realtime information about terrorism cases and policy developments." As background for why the Arab young people hate Jews enough to sacrifice their own lives, you need to know what Arabs have been teaching their children in recent years. Mitchell G. Bard, Rewriting History in Textbooks is a monograph written in the early 90's on factual errors about Jews and Israel in several history texts. Read it by logging in to http://www.us-israel.org/pub/texts.html. And read Jews, Israel and Peace in Palestinian School Textbooks by logging into the web site of the Center for Monitoring the Impact of Peace. Submit Letters, Comments and Articles for publication.